BETHESDA, MD—In its continuing mission to help occupational therapy practitioners provide the highest quality care to clients, the American Occupational Therapy Association (AOTA) announces today its recommendations for quality, evidence-based occupational therapy services. The list, “Five Things Patients and Providers Should Question,” was developed through the Association’s participation in Choosing Wisely®. 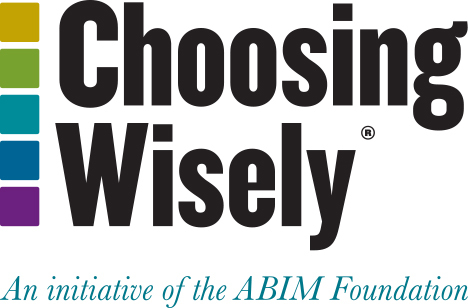 Choosing Wisely is an initiative of the ABIM Foundation to help providers and patients engage in conversations that support smart and effective care choices. Recognizing the importance of providers and patients working together, AOTA has joined Choosing Wisely to help improve the quality and safety of occupational therapy services. Don’t provide intervention activities that are non-purposeful (e.g., cones, pegs, shoulder arc, arm bike). Using valued activities is at the core of occupational therapy. Meaningful activities are motivating, build endurance and increase attention. Don’t provide sensory-based interventions to individual children or youth without documented assessment results of difficulties processing or integrating sensory information. Sensory issues are complex, and an intervention that does not address the correct problem can be ineffective or even harmful. Don’t use physical agent modalities (PAMs) without providing purposeful and occupation-based intervention activities. Using heat, cold, mechanical devices, electrotherapeutic and other agents without incorporating a purposeful activity is not occupational therapy. For more information on AOTA’s participation in Choosing Wisely, visit http://www.aota.org/Practice/Researchers/choosing-wisely.aspx.